The pronouncement of a Federal Court in Lagos reversing the recently introduced electricity tariff, has further pitched the nation’s electricity consumers against investors who bought the nation’s electricity power assets. While consumers are happy that the court has harkened to their cries for tariff reversal, the investors are worried that they would lose funds already committed to the sector. The investors warn that low pricing for electricity would lead to a possible collapse of the sector. They said government’s inaction since November 2013, when the privatisation programme took full effect to February 1, when the 45 per cent increase became effective, they have witnessed about N300b shortfall in estimated revenue. Investigations by The Guardian reveal that at the heart of it is an extra revenue worth of about N45b projected to come into the Nigerian Electricity Supply Industry (NESI) monthly with the tariff. Figures from the Nigerian Electricity Supply Industry (NESI) indicate that Electricity Distribution Companies (DISCOs) retain 25 per cent of the money they collect from customers, while the balance is usually shared among the generating companies, gas, the Transmission Company of Nigeria and the regulators (including NERC). Sources explained that if the reversal were allowed to pull through, the sector would lose the projected cash flow, thereby worsening the liquidity issues in the sector. It is no wonder then that while consumers jubilating over the judgment setting aside the recent tariff, the utility owners came out smoking hot. For instance, DISCOs say the judgment would hurt the sector if not set aside and have, therefore, filed for a stay of execution of the judgment preparing to appeal. 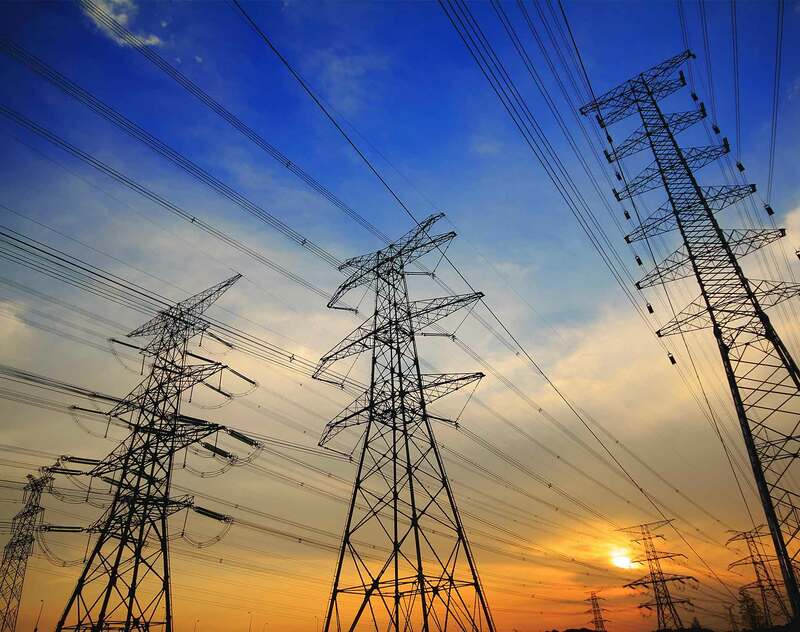 Director of Research and Advocacy for the Association of Nigerian Electricity Distributors (ANED), the umbrella body of the nation’s electricity distribution companies, Sunday Olurotimi Oduntan, told The Guardian that the matter was not yet over. He called attention to the need to put the nation first in all things, stressing how the right pricing for electricity would ensure efficient and reliable supply. “To have electricity, it has to be paid for. It has to be appropriately priced. If there were no investment in the system, it would be difficult to have meters. It will also be difficult to have power. We are looking at the bigger picture. The judgment is an action against the Nigerian system,”Oduntan maintained. On its part, the Nigerian Electricity Regulatory Commission (NERC) has also spoken of its intention to challenge the court judgment. Acting Chairman of the Commission, Dr. Anthony Akah, explained that though the Commission had not gotten the certified true copy of the judgment, it had decided that it would launch an appeal in the interest of the sector. “At this point in time, we don’t know which of the tariffs until we see the content of the judgment. But the fundamental point is that we know that as a responsible institution, we respect the decision of the court,” he hinted. He spoke extensively on the nature of the electricity sector and why a cost reflective tariff would be needed to encourage investments. He said: “The electricity sector is a very complex, very expensive, and long term based business endeavor. There is what is called regulatory certainty. The Multi Year Tariff Order (MYTO), which the judgment affected significantly, provides a long time pact of determining in advance what the tariff would look like. And based on that Multi Year Tariff Order of 2015, a lot of improvements were recorded. A lot of them are in progress. “As we speak today, we expect, just like the Honourable Minister, Mr Babatunde Raji Fashola has announced, licenses are to be issued for 1000 megawatts of electricity from renewables. That is a major addition to the country’s energy mix. Those licenses and the transactions were predicated on the Multi Year Tariff Order of 2015. The various investors that intended to come for coal and other sources of energy into the sector also predicated their transaction on the Multi Year Order of 2015. “We have stepped up the issue of safety, monitoring and sanctions on the sector. All these things are predicated on the fact that we believe that we have given the operators cost reflective tariff and as such it’s time to ramp up their performance. When asked why NERC was so keen to be on the side of the owners of the utilities, not considering the fate of consumers, Akah explained: “The electricity power sector is like your baby. As the parent, you have given us the legal right to treat your baby. He assured that ultimately the sector would become stronger. “There would be better service provision, less electrocution, people will have more meters, and then we will have the moral ground to sanction any of the distribution companies that infringes on the rights of the Nigerian electricity consumers. So, NERC remains resolute in ensuring that the market survives and at the same time, ensuring that the electricity consumers get value for money,” he maintained. He went on, “We are mindful of the fact that we have not reached the stage that we intend to reach. We are mindful of the fact that there are still issues of wrongful billing. There are still issues of wide metering gap, issues of inadequate power, but we want to put it on record, just like in line with the policy thrust of the Ministry and the Federal Government of incremental, steady and uninterrupted power, that been able to bring in more power is predicated on this 2015 MYTO that this judgment affects. Akah explained that the Commission was developing a Power Consumer Assistance Fund, which would be flagged off by the Minister of Power, Works and Housing soon. He also spoke of efforts to launch an energy efficiency campaign, which would assist consumers to reduce the rate of consumption. But the plan by the operators and DISCOs to appeal the judgment is not going down well with Labour and civil society groups. For many consumers, the court judgment was timely and in the interest of consumers who have had to cough out money even for electricity not consumed. National Coordinator of the Human Rights Writers Association of Nigeria and former Federal Commissioner of Nigeria’s National Human Rights Commission, Emmanuel Onwubiko, praised the Court for the judgment. He told The Guardian: “The Federal High Court’s decision nullifying the electricity hike regime made by the Nigerian Electricity Regulatory Commission will for a long time remain a significant milestone and one of the landmark pro-people judgment from the Nigerian judiciary for a long time to come. For us at the Human Rights Writers Association of Nigeria (HURIWA), we think NERC acted in bad faith by hiking the electricity tariff when in actual fact that is no electricity power in Nigeria. “The verdict of the Lagos Division of the Federal High couldn’t have come at a better time. In as much as NERC has the right of appeal I think they are chasing shadows and will end up wasting taxpayers’ money. That appeal is time wasting and is indeed a charade. The Federal Government needs to fundamentally investigate the electricity power sector from 1999 till date to ascertain why, despite huge investments with public fund by successive administrations, the power sector has remained nonfunctional. On their part, the Nigeria Labour Congress (NLC) and the Trade Union Congress (TUC) have called on NERC and the operators to obey the judgment of the court reversing the hike in electricity tariff or face contempt charge. Nigeria Labour Congress (NLC) President, Ayuba Wabba, Trade Union Congress (TUC) president, Bobboi Kaigama and the lawyer who handled the matter, Toluwani Adebiyi, have insisted that the judgment of the court must be obeyed irrespective of the appeal against it. “We, therefore, in collective voice urge the regulatory body to immediately comply with this judgment of the court; the Presidency must prevail at this point in time on the regulatory body, if indeed this is democratic government that respects the rule of law. The tariff must be reversed immediately, as we will not hesitate to bring contempt proceeding against whosoever is to comply or ensure compliance,” they stated. They described the judgment as “victory for all of us, the Labour force, Trade Union, the Civil Societies and all Nigerians”. But Lead Director at Centre for Social Justice (CENSOJ), Barrister Eze Onyekpere, supported the quest to challenge the judgment, stressing that the power to determine tariffs rest with NERC. He told The Guardian: “The government should appeal the decision and ask for a stay of execution pending the appeal. It seems to me that beyond procedural matters, Courts are not in a good position to determine the adequacy or otherwise of electricity or other industry tariffs. Such a decision should be left to the regulator, stakeholders and experts in the electricity industry. It will be left for the Courts to determine what happens to the tariffs already paid. But the Nigerian electricity industry is almost insolvent and may not be in a position to refund any money. He maintained, “The demand for increased tariff will continue until a fundamental restructuring of the industry is done. To begin the process, the government should re-constitute NERC. NERC in collaboration with the appropriate government agencies should insist on good corporate governance in all the companies in the electricity value chain; companies that are poorly run should get timelines to improve or get their boards taken over; increased transparency around their operations especially their finances; public access to all contracts signed between NERC, the Bureau of Public Enterprises and the successor privatized companies; mandates for improved investments across the value chain by the privatised firms failing, which the licenses may be reconsidered. On the nature of the judgment, he stressed that though he had not read the copy of the judgment itself, it seems that the flaw, which the Court found in the tariff increase rests on the procedure, which is a condition precedent before any increase, as stated in the EPSRA (S.76). He noted: “It seems that NERC did not follow in this case and or the fact that NERC disobeyed the order of court and went ahead with the increase during the pendency of the suit in Court. But whether there was due consultation of stakeholders, gazetting, etc, as required by law is a matter of fact that can be evaluated by a court of first instance or Appeal Courts.